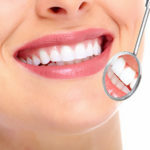 Princeton Prosthodontics and Dental Implants appreciates your visit to this web site (“Princeton Prosthodontics and Dental Implants Website”) and your interest in our services and products. Your privacy is important to us and we want you to feel comfortable visiting our site. 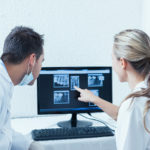 We take care to protect any personal data collected, processed and used during visits to the Princeton Prosthodontics and Dental Implants Website. If you do not agree to this Policy, do not proceed to additional web pages of the Princeton Prosthodontics and Dental Implants Website. 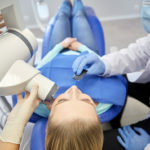 Princeton Prosthodontics and Dental Implants is committed to safeguarding the personal information that we collect from individuals who use the Princeton Prosthodontics and Dental Implants Website. 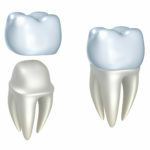 Accordingly, Princeton Prosthodontics and Dental Implants has developed this Policy to describe how and what type of data will be collected from users of the Princeton Prosthodontics and Dental Implants Website and the purposes for which Princeton Prosthodontics and Dental Implants may collect, share or disclose that data. 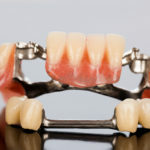 Princeton Prosthodontics and Dental Implants also outlines reasonable precautions which should be taken to keep your data secure. 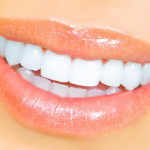 This Policy applies to any information obtained by Princeton Prosthodontics and Dental Implants through your use of the Princeton Prosthodontics and Dental Implants Website. It is not applicable to any Internet websites controlled by third parties not affiliated with Princeton Prosthodontics and Dental Implants that the Princeton Prosthodontics and Dental Implants Website may link to (“Third Party Sites”). Please review the privacy statements of Third Party Sites as Princeton Prosthodontics and Dental Implants is not responsible for and has no influence over the content or privacy practices of Third Party Sites. 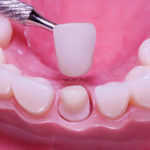 The terms of this Policy are subject to any additional terms of disclaimers or other contractual terms you have entered into with Princeton Prosthodontics and Dental Implants such as client privacy statements or notices, and any applicable mandatory laws and regulations. 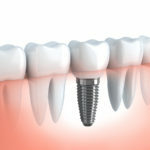 When you visit the Princeton Prosthodontics and Dental Implants Website, our web server automatically records details about your visit (for example, your IP address, the web site from which you visit us, the type of browser software used, the Princeton Prosthodontics and Dental Implants Website pages that you actually visit including the date and the duration of your visit). 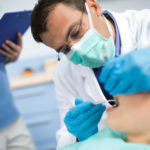 In addition, we collect personal data which you provide through the Princeton Prosthodontics and Dental Implants Website, for example when you enter personal details (e.g. name, gender, address, e-mail address, phone/fax number) ona contact form or if you sign up for an email newsletter. Princeton Prosthodontics and Dental Implants respects all applicable federal and state laws and regulations in its use of personal data. 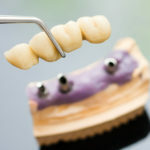 Princeton Prosthodontics and Dental Implants uses tracking technology such as cookies or tags to gather information as outlined above (see: “What information do we collect from you and for what purpose?”) to understand how visitors use the Princeton Prosthodontics and Dental Implants Website. 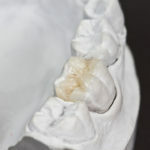 Tracking technology helps us manage and improve the usability of the Princeton Prosthodontics and Dental Implants Website, for example by detecting whether there has been any contact between your computer and us in the past and to identify the most popular sections of the Princeton Prosthodontics and Dental Implants Website. 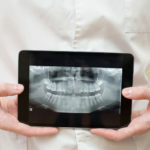 Refusing, disabling or deactivating of tracking technologies may result in a reduced availability of the services provided by the Princeton Prosthodontics and Dental Implants Website or parts of the Princeton Prosthodontics and Dental Implants Website may no longer function correctly. 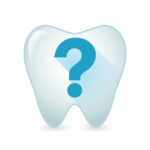 To whom do we disclose your information collected from the Princeton Prosthodontics and Dental Implants Website? Princeton Prosthodontics and Dental Implants may disclose your information to its affiliates , agents or third party providers inside or outside your country of residence to perform services for Princeton Prosthodontics and Dental Implants and for the purposes stated above. Our affiliates, agents and third party providers who have access to personal data obtained through the Princeton Prosthodontics and Dental Implants Website are obliged to respect your privacy. What security measures have we implemented to protect your information collected through the Princeton Prosthodontics and Dental Implants Website? 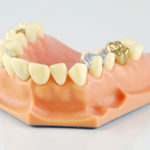 Princeton Prosthodontics and Dental Implants has implemented reasonable technical and organisational security measures to protect your personal data collected by Princeton Prosthodontics and Dental Implants via the Princeton Prosthodontics and Dental Implants Website against unauthorized access, misuse, loss or destruction. 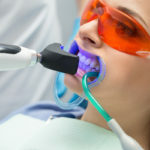 How do we treat electronic messages sent to and from Princeton Prosthodontics and Dental Implants? 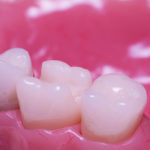 All electronic messages sent to and from Princeton Prosthodontics and Dental Implants are automatically retained in a distinct journaling system which preserves the evidential weight of the e-mails. They are protected by reasonable technical and organisational measures and may only be accessed in justified cases in line with applicable laws and regulations (e.g. court order, suspicion of criminal conduct, violation of regulatory obligations, material breach of employment contract) to specific persons in defined functions (e.g. Legal, Compliance, Risk). Every step of the process, as well as the search criteria used, are logged in an audit trail. All emails are disposed of after the applicable retention period has expired. The Internet is generally not regarded as a secure environment, and information sent via the Internet (such as to or from the Princeton Prosthodontics and Dental Implants Website or via electronic message) may be accessed by unauthorized third parties, potentially leading to disclosures, changes in content or technical failures. Even if both sender and receiver are located in the same country, information sent via the Internet may be transmitted across international borders and be forwarded to a country with a lower data protection level than exists in your country of residence. Please note that we accept no responsibility or liability for the security of your information whilst in transit over the Internet to Princeton Prosthodontics and Dental Implants. In order to protect your privacy we would like to remind you that you may choose another means of communication with Princeton Prosthodontics and Dental Implants, where you deem it appropriate. The Princeton Prosthodontics and Dental Implants Website does not seek to collect personal data from individuals under the age of 18. Individuals under the age of 18 should receive permission from their parent or legal guardian before providing any personal data to Princeton Prosthodontics and Dental Implants on the Princeton Prosthodontics and Dental Implants Website.